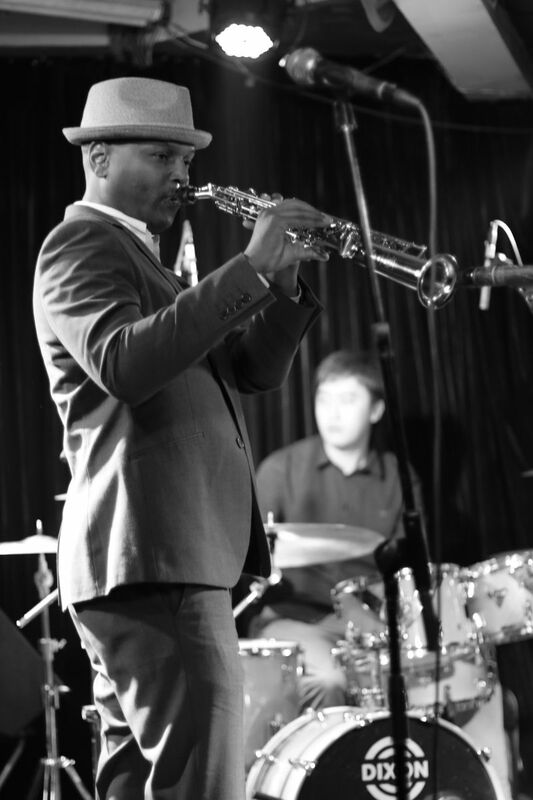 As one fan put it, “Listening to Panther is like eating a piece of my favorite pie - it’s so good!” It’s no wonder that this multi-faceted musician has made a name for himself as one of the smoothest saxophonists around. A Chicago native, Mark Allen Felton aka Panther drew upon a wealth of influences from Jazz to Gospel. At the tender age of 11 he began an artistic journey inspired by such musical greats as Earth Wind & Fire, Sonny Stitt and Kool & the Gang, eventually performing with giants of the industry and learning from his mentor Grover Washington Jr.
By the time he graduated from high school, Felton had received numerous awards for his musical excellence including a scholarship to Texas Southern University in Houston, TX. While attending TSU, he played in the school's jazz ensemble as well as other local groups. Soon after, he formed his own band Electric Storm, which featured Te r r y Ellis, future member of the R&B super group En Vo g u e . Felton went on to co-produce an album for the legendary track star Carl Lewis that reached the Gold status (selling over 500,000 units). Anyone who has witnessed Felton in action knows that he is not just a great musician, he’s an awesome performer. He engages the audience with every note he plays; funky, yet smooth as butter. His style landed him the saxophone spot touring with Ray Parker Jr.’s band, a position he held for five years. His talent and professionalism are widely respected in the industry making him a favorite of many civic organizations and campaigns. Playing for political dignitaries such as: Secretary Hillary Clinton, Governor Arnold Schwarzenegger, Congresswoman Maxine Waters, civil rights leader Julian Bond, and L.A.
American Heritage Month Celebration. When Lionel Richie was the recipient of their Living Legend Award, Felton performed a tribute that brought the house down. In 2007 he provided all of the music for the Southern Christian Leadership Conference of Greater L.A.’s 30th Annual MLK Birthday Celebration and was hired by the family four months later to play at the funeral of Dr. King’s daughter, Yolanda. This extraordinarily gifted artist has had the honor of performing alongside some of the most revered musicians in the world of smooth jazz and R&B including: Al Jarreau, Patti Labelle, Kirk Whalum, Najee, Gerald Albright, Bobby Womack, Billy Preston, Marcus Miller, Mindy Abair, Boney James, Rick Braun, Michael Lington, Deniece Williams, Mark Isham, Lalah Hathaway, Jeffrey Osborne, Carl Thomas, Kenny Lattimore, Adam Hawley, Janelle Monae, The Temptations’ Ollie Woodson, and Earth, Wind & Fire’s Verdeen White. One of Felton’s most memorable experiences came at KJLH radio station in Los Angeles when he played an impromptu song, live, with Stevie Wonder at the artists request.